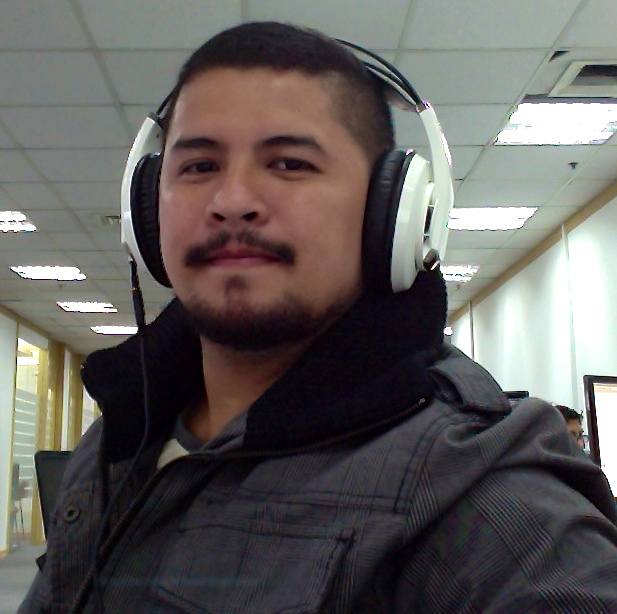 Richard Feraro is a PHP Developer living in Manila, Philippines. He has been programming for 13 years and working on different open source application mostly done in PHP and MySQL. He usually spends most of his time online, reading blogs of vast topics which are mostly inclined to Science, blogging, open source application, how-to, current events and lifestyle. He started as a web designer but realized that he’s more interested in programming when he saw colleagues converting Java application to PHP way back 2002. Since then, he studied the language and the rest is history. which version very convenet to working on xampp using magento because i have a error report install in magento. Any version will do, but get latest of course. I am in need of immediate help with magento, on a basic installation, with adding a cart block of my magento installation to an external website. Please email me as soon as possible. Hi Richard, I have a smalle WP/Magento integration job that needs doing. Are you available for freelance work? Richard, how do I contact you privately? Hi Richard, please could you get in touch with me. Thanks, James. Hi, I wanted to contact you about an Opportunity I have, can you please e-mail me? Hey Richard do you have any websites that use this plugin now so I can look at examples? I’m just making sure that I want my WORDPRESS website as the foundation and the Magento store to feed into my wordpress pages. Is this the correct plugin? Very cool site you have. I run a local company that teaches people to race gokarts, cars, drifting, etc. We have been running the race school for about 12 years now and get both local and foreign drivers on a monthly basis. We are looking for new ways to promote our company and would like to possibly invite you to the track to experience what we do. We are also about to launch the most expensive local race simulator (it costs about 15K USD) and is available for your guys to try. Let me know if you are interested to discuss. Thanks! BTW here is a very cool video we made to give people an idea of what we do. Feel free to post it if you can! Proudly Pinoy Made! First in the World diesel powered championship winning drift 4×4 pick up! Hey Richard I can’t get the absolute url work for the life of me. /snowtechnologiestesting/shop/app/Mage.php I would assume this would work but nothing is working. snowtechnologiestesting.com is the website and it would be snowtechnologiestesting.com/shop is where the magento install is located. Here is the actual Absolute Path my hosting company told me but still is saying its invalid /home1/snowtech/public_htm/snowtechnologiestesting/shop/app/mage.php Any thoughts? I am feeling happy listening your story. I am a Bangladeshi boy, who love to work with Programming, but unfortunately I am a student of Zoology. That’s why, I am working hard to learn Java, PHP & MySQL. No I am facing a great problem with English… 🙁 But I am trying. To reading your profile, I am feeling interest from you. So thanks. sir where did you learn magento? is there a school that teaches that program po ba in the philippines? or do you know anybody who can give one on one tutorials? please help me how can i do it. Hi Richard, Are you available for freelance work? I am in charge of finding a good fit for my business Lux & Eco, and I really like your implementations of WordPress and Magento. We need to integrate our product feed with our blog, and it seems the Magento API can do that just well. Can I have our email pls? could you tell me if it is possible to use the Mage object in the backend of WordPress. I need it to fetch a list of products from the database. You can try with the recent version of WordPress. The last time I tried it, I had difficulty removing the “Cannot send header information…” in the backend but that’s several versions ago. I just discovered your plugin. I’m a WordPress developer but I lack of experience with Magento. I have been asked to embed Magento into WordPress, ie use WordPress as CMS and display a Magento shop in one or more WordPress template pages (that would presumably include logins, user pages, etc). I am not sure if it’s possible to achieve that. The goal is to use the advantages of WordPress to create and manage the website layout and use only the backend of Magento for administrating the shop, without messing with Magento templating, except for some minimal CSS. Do you think this is possible to do? Would your plugin be enough? Thank you so much! I have another question: I use the following code inside my index.php to create a magento session and user login. The code above runs on test.domain.com. My Magento install runs on test.domain.com/shop. The problem I’m experiencing is that when i go to test.domain.com/shop, magento creates a new frontend session. When i look at my session cookies i see 2 frontend session cookies. One with path / and one with path shop/. So there are 2 different sessions. Do you know of a way to join these sessions, because now the session within wp is different from the magento session. You may set your cookie domain to ‘/’ so that it is available even in subdomains. How do i do that? Thanks in advance. Thank you. Found it allready: Magento admin -> configuration -> web -> session cookie management. I am part of a social media research company based in Singapore. We have a Manila office but most of the staff are homebased. We will be having a 2-day seminar about social media. I was wondering if we could invite you to give a short talk. Would you be interested in a new project? Would you be interested in a new project that involves Online Auction Bidding via PHP and Java? Hi Richard! How are you today? I’m Joepet. I’m just wondering if how can I blog my ideas and point of view within your platform? Hi, I have read your blog, and found it quite interesting. I would like to hire you for a Magento integration job. It involves adding products from a hosted service to the magento cart. Please advise, if you are available. Hi Richard, I need help . The bottom line of my question is I want when customer come to my Magento store and buy product and checkout. The info collected via Magento’s Checkout page should go to WordPress database. Is this possible. how? I am Liza Gonzales of Ambient Digital Media, Inc. and we are an Ad network. We are currently tapping PH based premium websites to be partners of our company. We found that your website has high traffic, therefore we would like to send you a proposal and hopefully set a meeting so we could further explain details on what services we could offer your site. Hi! This is Eldrin from Perxclub. Perxclub is a breakthrough in mobile application that promises the fusion of loyalty marketing and risk-free advertising. We will be launching Perxclub next month and we would like to invite you in this exclusive event. May we request your contact info to formally send the invitation either via e-mail or courier. Thank you! Good morning Richard! How are you? I’m Joepet the Head of Marketing for Globaltronics, Inc. We are the Pioneer and Leader in Digital Signage in Southeast Asia and have offices in Singapore and China. We are the First One to introduce LED Display Boards in the Philippines. In Fact, Top Corporations like SM, Watsons, San Miguel, National Bookstore, ABC Channel 5, Jollibee Foods Corporation, MC Donalds, Citibank, Century Properties, Unilever, Samsung, Shopwise, Lamoiyan, among others are procuring their Advertising Digital Signage Requirements from us. In this case, may we request an appointment with you at your most convenient time possible to discuss further our marketing plans. We are a software development company that is working on our first WordPress / Magento site. I would like to speak to you about some consulting to get our project off the ground. Please contact me at your earliest convenience. i am very thankful to you for your knowledge sharing on magento, its very helpful and which make possible for me to get out from a dig where i was fallen down. Can i have your email?i want to contact you privately. how can i contact you because I need your help. As soon as possible please contact me. I have a project. I’m interested in knowing if you contract privately? I need some Magento customizations, are you available? your site is amazing and wonderful.